McAfee is well known for its security solutions for Windows, Android, macOS, iOS, and Linux. McAfee has multiple security solutions, especially for the Windows operating system. While McAfee is one of the popular antivirus software among PC users, most PC users these days prefer using other security solutions for various reasons. Just like other antivirus software out there for Windows operating system, uninstalling McAfee from your PC is easy. However, at times, you might get an error, and it might prevent you from uninstalling a McAfee product installed on your Windows 10 PC. To help PC users uninstall McAfee antivirus and other products from your PC, there is an official tool called McAfee Consumer Product Removal Tool. McAfee Consumer Product Removal (MCPR) tool is a free utility from McAfee to remove its products from your computer running Windows OS. The tool, although it removes McAfee products, it doesn’t remove 100% of components. As per the official MCPR page, the tool will remove only components needed for reinstallation. So, this clearly means that the tool won’t remove all traces of McAfee from your PC. 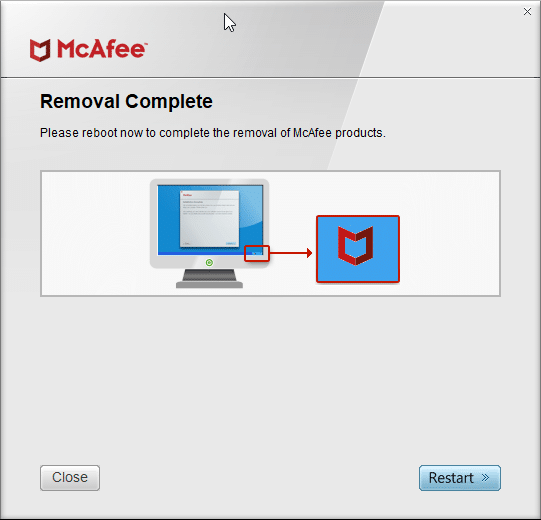 So, the Consumer Product Removal Tool should only be used to remove a McAfee product which fails to uninstall. 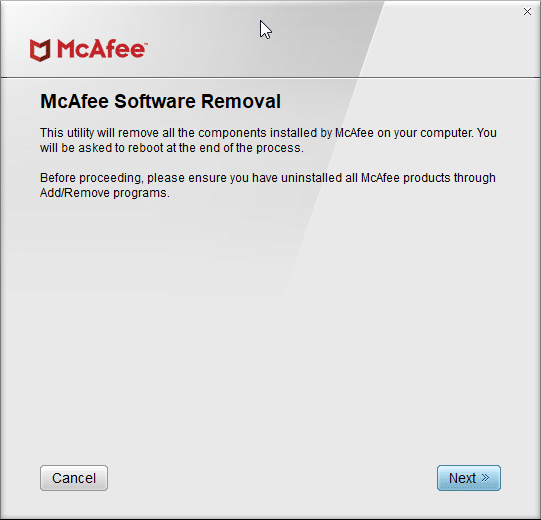 Uninstalling a McAfee software using Consumer Product Removal tool is easy. You just need to download (link provided at the end of this article) the tool, run the same, and then follow the straight-forward on-screen directions to remove a McAfee product installed on your Windows 10 PC. McAfee Consumer Product Removal (MCPR) tool is compatible with both 32-bit and 64-bit Windows 10 systems. After uninstalling McAfee, we suggest you install an antivirus software out there to keep Windows 10 and your data safe from viruses and other threats. Refer to our 7 free antivirus software for Windows 10 article to know all the free antivirus solutions out there for Windows 10. 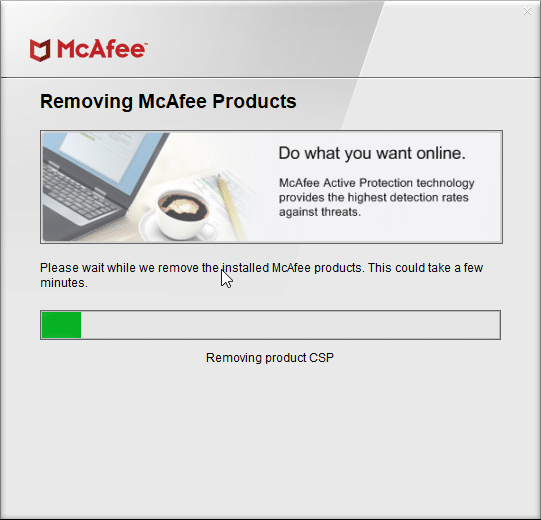 Visit the following link to download the latest version of McAfee Consumer Product Removal (MCPR)tool.